Blue Marsh is your trusted, local insurance agency. It has been a tremendous blessing to begin an insurance relationship (and beyond) with Tom Davenport and Blue Marsh Insurance. It didn't take us long to realize that Tom had the heart of a teacher when it came to explaining our insurance options, understanding our needs, and advising us with expertise and care. The tremendous peace of mind we now experience with the insurance policies we have in place is largely due to the upstanding character of Tom and his team and the trust that comes easily when dealing with them. As over 10-year ex-patriates who recently returned to the U.S., my wife and I were overwhelmed with all the information and choices we encountered in choosing insurance. Thankfully, Josh and Tom really took the time to help us understand our options and help us find clarity on what we needed and wanted. They were consistently knowledgeable, friendly and most of all patient in helping us find the best insurance for our family. 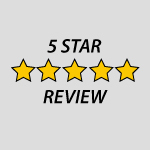 We couldn't be more pleased with the service we received from the entire Blue Marsh team and we have and continue to recommend them to both friends and family. The experience in doing business with Blue Marsh was how you wish all businesses would treat you, but few do! From my first phone conversation, till the process was completed was a pleasure! Tom helped us find health insurance that best suits our needs! He patiently answered my questions, and kept us updated as the application process was taking place. It’s refreshing to work with someone who loves what they do, and want to help their clients! Tom came highly recommended to us by our son, Tony. Tom saved us $2,424 A YEAR in insurance premiums between our home and auto insurance!!! AND- we have better coverage than we had before! Blue Marsh Insurance cares about making sure my coverage is right and that I understand what I bought. That hasn't ever happened to us before. Thanks, Tom!